The Monkees | Dig Those Groovy Tunes! The Monkees: a guilty pleasure for some; for me, just a pleasure. The (three remaining) Monkees have announced that they’re going back on tour! Yes, even Nesmith (who, contrary to popular belief, wasn’t so much opposed to joining previous Monkees reunions as he was insanely busy at that time being a multimedia renaissance man and coming up with the prototype for MTV)! Of course it won’t be quite the same without Davy Jones, but I’m sure their departed bandmate will be anything but forgotten on this tour. There ought to be many a moving tribute in his honor, I’d imagine (just so long as they don’t do one of those creepy duet-with-a-holographic-dead-guy numbers). There’s actually two reasons why I chose this video for this week. The first is to honor the memory of Davy Jones, who passed away earlier this week. The second is that my dad’s birthday was also this week. Happy birthday, Dad. And rest in peace, Davy Jones. This video is a scene from HEAD, The Monkees’ one and only feature film (and one of my favorite movies). 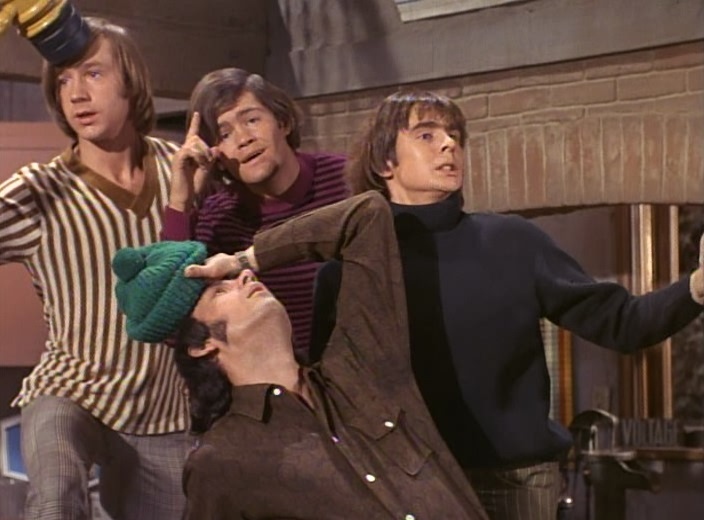 The movie kickstarted my obsession with The Monkees which lasted almost the entirety of my freshman year of college. I’d always been a fan of their music, but HEAD introduced me to the prefab four as individual characters. What’s also awesome about this video is that it features cameos from Toni Basil (yes, that Toni Basil. Who apparently had a huge crush on Monkee Micky Dolenz, hence the title of her one and only hit) and Frank Zappa (and Frank Zappa’s talking cow). Oh, and just a warning, there are some parts of this video that feature rapid, flashing cuts between shots, and so might be problematic for those of you with photosensitive epilepsy or other such conditions. But otherwise, enjoy.